#30 Broad Arrow: Prison Garb popped up this morning. This one is easy peezy. I got it done in a jiffy. 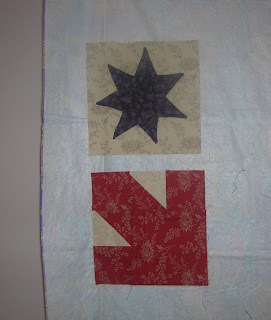 And then I cut out the points for the star. I had to needle turn the star onto the background. It took me FOREVER to do it. It has been a fun week so far. Yesterday was a great guild meeting. The speaker was Jane Buckwald (sp) talking about quilting era following Civil War until present. 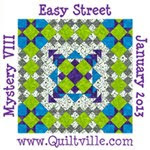 She brought many quilts and it was an enjoyable and informative lecture. Today was a workshop to learn the technique in the book "Crazy 'Til the Cows Come Home" by Buggy Barn. 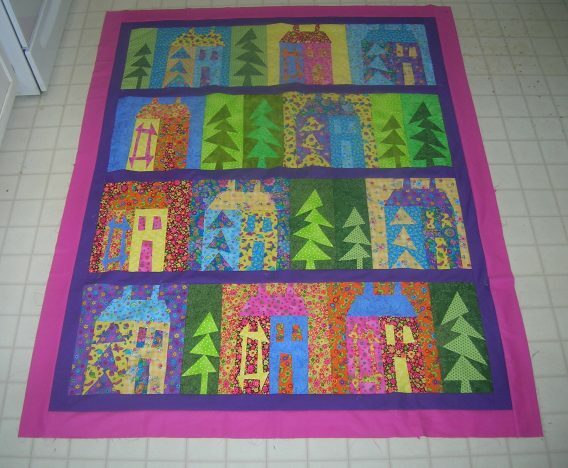 Our project was Quilters Village. I was not too sure about this whole process prior to going to the class. 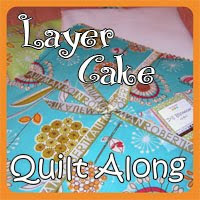 The book shows the quilt in homespun type fabrics. That is not my style. 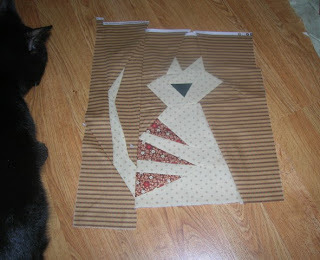 I only attempted one quilt in homespun and never finished it. And am not too sure what happened to the rest of it! I decided I was going to go wild. After all it is "crazy". My project will look like some village on drugs!! The trimming of the block is not done until all the construction of the blocks is completed. 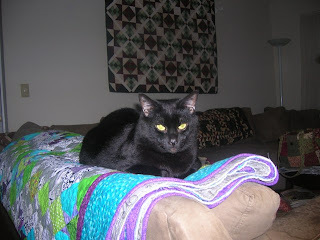 I will not be making the quilt as big. The original has 30 houses. 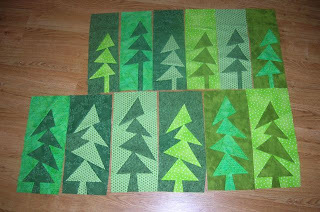 I also have "tree" blocks to make. We will see!! So this picture has nothing to do with the Shop Hop-just Spooky roosting on Easy Street. We decided yesterday to check out the shops in Marietta. So bright and early this morning Marti, Marie, Cindi and I headed off to the other side of town. We went to Little Quilts and Tiny Stitches first. 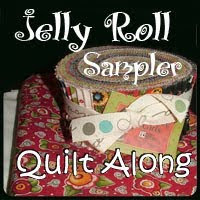 I really don't understand why quilt shops just don't seem to last in Gwinnett County. We did some looking and some buying-fondled a bit of fabric and then it was time to eat lunch. I must admit, one of the first things discussed this morning was where we would lite for lunch. All of us have a fondness for the Marietta Diner. Only downside is the food is so good, one has no room for one of the decadent deserts-oh those cakes and pies!!!! i swear you gain weight just walking by the cases! After lunch we checked out Red Hen. 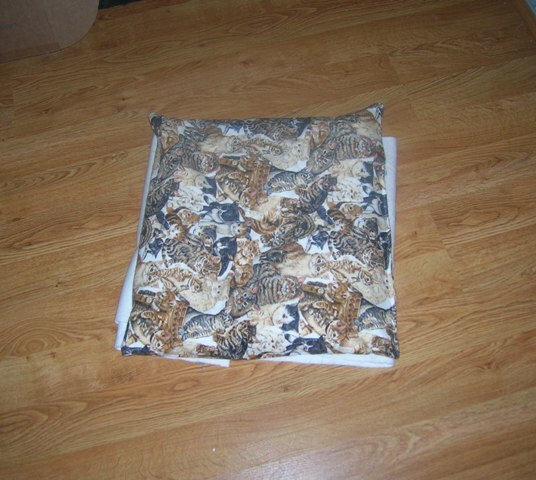 Not my favorite shop but I did manage to get a piece of fabric for the back of a Just for You quilt. We ran into several Thimbles during the day-more Gwinettians on a mission! Before heading back to our side of town, we made a quick detour to Kennesaw-famous for the Civil War battle and Cottontail Quilts. This is a lovely shop. By the time we hit I75 we were in rush hour traffic. But then again-rush hour in the ATL lasts most of the day. Love it when a block goes together....the first time! I was a little nervous after last week's block. Grandmother's Choice # 28 is named: Ocean Wave: My Friend Erma. Erma was a WAVE during World War II. Interesting story. about WAVES. 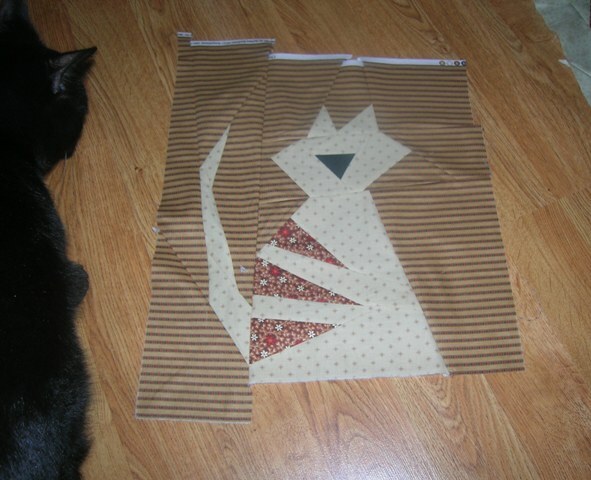 At any rate, she was also a quilter. I loved seeing both the pictures of her in her uniform and especially the picture of her quilting. I did not follow the "directions" for block construction. I used the Easy Angle ruler to construct the HSTs. 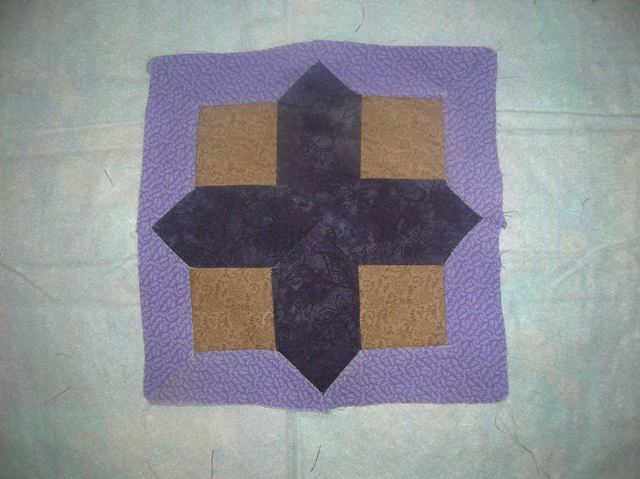 The block went together and is the correct size. Did not need to do any trimming! Laundry is in the dryer. The time has come for me to jump back into C and J (before you know who REALLY gets on my case). Gotta love that Pat! Spooky is actually sitting on the pet bed that I made this week. I was beginning to wonder. I did not spend much time on it. 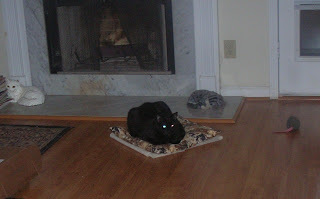 I felt bad because the floors are really cold and there is no carpeting except in the second and third bedroom. I have been reduced to wearing socks and slippers just trying to keep my feet warm this winter. 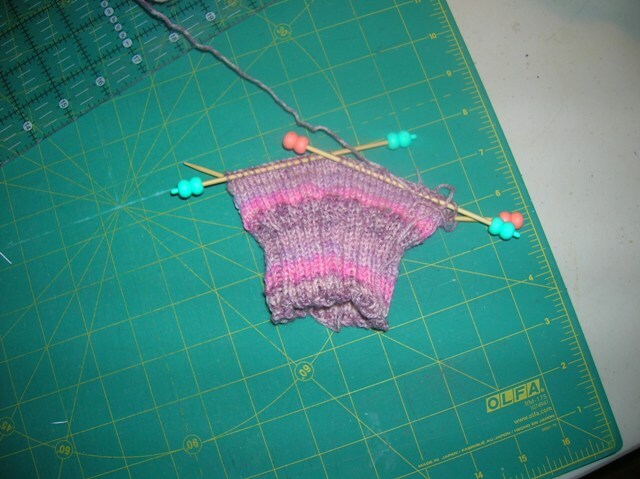 Today was learn to make socks at the senior center. I have always wanted to learn to do this. I didn't know I was going to be using such tiny needles. Julie taught several of us today and cheered us on. I may end up with only one sock. And as my girls said-you can buy socks at the dollar store. These will be really soft if I get them made. Laurie called me a "Golden Girl". I have decided that I am a cross between Rose and Dorothy. I love hanging out with all my "girls". I realized today that I have to get cracking on the preparation for the workshop that is happening the week after next. 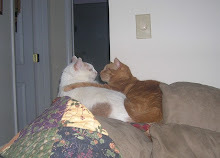 I am now at the point of "what was I thinking when I signed up for this one"? 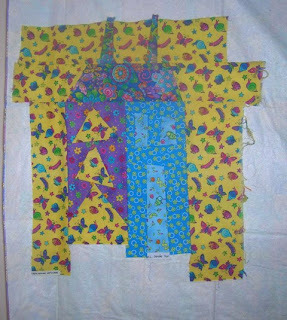 This weekend: trace the patterns on freezer paper. Also scavenge in the sewing room for fat quarters required for the workshop. Tomorrow is block of the week. I hope it is better than last week's! 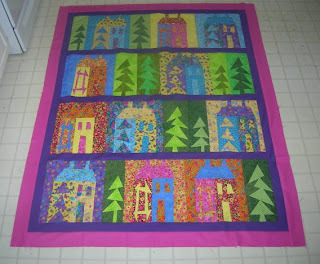 #27 block of the week is called Grandmother's Dream-The Houghtons. An interesting story regarding women's rights regarding education. also Katherine Hepburn is a granddaughter or great granddaughter. 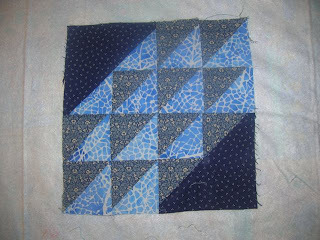 This block is not my best work and I am not sure that I did it the correct way but it is together and it is as good as it is going to get!!! So there!!!!! 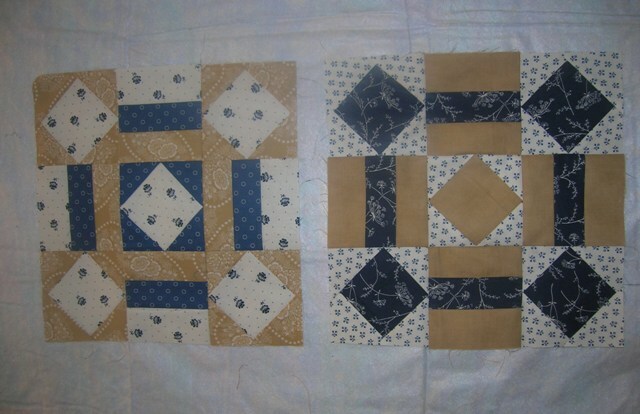 And now I will attempt the other project..Dixie Diary blocks.